Whether you’re on vacation or hanging out in your back yard, you want to enjoy the sun without burning your skin to a crisp and endangering your health. But those sunscreen labels can be confusing and misleading. Knowing what to look for can help you avoid throwing your money away on clever marketing — and help your keep your skin healthy. No sunscreen is waterproof or sweat proof. For those that claim to be water resistant, the label should tell you how often you should reapply it. 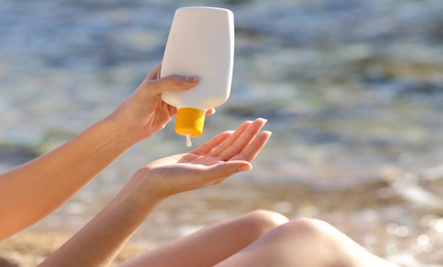 Choose a sunscreen that provides broad spectrum protection so both UVA and UVB rays are blocked. UVA is the kind that ages skin. UVB is the kind that burns skin and can cause skin cancer. SPF is the sun protection factor. Choose one that is 15 or higher — but don’t be fooled by SPF values above 50. 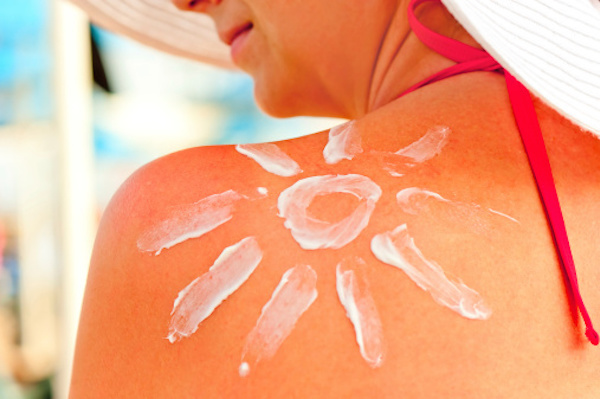 According to the EWG, useful SPF protection tops out at 30 to 50. Avoid spray sunscreens. It’s difficult to cover your skin all over and you might inhale it as you go. The EWG recommends avoiding oxybenzone, a common common ingredient that can disrupt the hormone system, and retinyl palmitate, which could trigger skin damage on sun-exposed skin. Some people don’t take sunburn seriously, as evidenced by the recent trend in sunburn art. That’s where people use sunscreen to make a design and expose the rest of their skin long enough to turn red. It’s like a temporary tattoo. Now that’s a bad idea. The sun can damage your skin through clouds and through glass, so you should wear sunscreen when you’re outdoors on cloudy days or if you’re spending a sunny day in the car. Dark skin is not a protection from sunburn. A good measure of how much sunscreen an average adult should use is a shot glass, and it should be repeated every two hours, even if you don’t get wet. For true sun worshippers, even sunscreen may not be enough to protect against repeated exposure to the sun’s harmful rays. A 2011 study found that shade and protective clothing may be more effective than sunscreen. A little time in the sun followed by some time under the umbrella might be a good balance. For more help in figuring out your sunscreen label, check out the EWG’s handy sunscreen decoder or guide to the Best Beach and Sport Sunscreens.